We had been living in our rented apartment at 37 Han Krum in Sofia for some time before I paid much attention to the bookshelves the owner had left behind. Then one day, I began examining and sorting them out. They were published during the period 1950-1990. In some way, they represented Bulgaria during these 40 years—and not just in the world of literature and publishing. In some way, these book titles, subjects, authors and publishers had something to say about what people and/or their government were thinking or being told to think, experiencing or not being allowed to experience. From finding a book I might read, I moved to viewing the volumes as a literary archeological dig. Instead of stratified layers of dirt, the books offered their subjects and publishers. Instead of looking for soil shapes and colors, I looked at titles and themes. Instead of the context of found objects being their physical location, the context of the books was the political mood of the time. The impact of over 40 years of communism in Bulgaria as well as the changes since 1989 was clear. Highly censored were each and every book and publishing house, but I had free rein to sort the books as I saw fit. Without the experience of growing up in what was a totalitarian state—one in which the Sigmund Freud book my husband for years requested in the national library was always dutifully reported as being “out for repair”—I felt free to sort the books into categories as I saw fit. I didn’t have the knowledge or reference points to be able to recognize books or authors or ideologies, but on the other hand I was free from emotional baggage as I sorted away according to my own ideas and sensibilities. Here are some sample finds. Despite the Bulgarian state being the only legal publisher and the owner of all publishing enterprise, it mimicked the appearance of a varied publishing industry with multiple players by establishing not only publishing organizations with individual names and specialties, but distinct series or “libraries” within. In 1979 Milan Asadurov had an idea for a new series of popular fiction, the Galactic Library, and procured 500 books from the United States for this purpose. For this idea and the 500 books, he and his colleagues were held for several months by the secret state security apparatus. Released after Asadurov provided evidence that these same titles were translated and published in the Soviet Union, he apparently had not bothered to mention that the staff of the Moscow-based Young Guard publishing house had been dismissed 11 years prior for ideological sabotage. 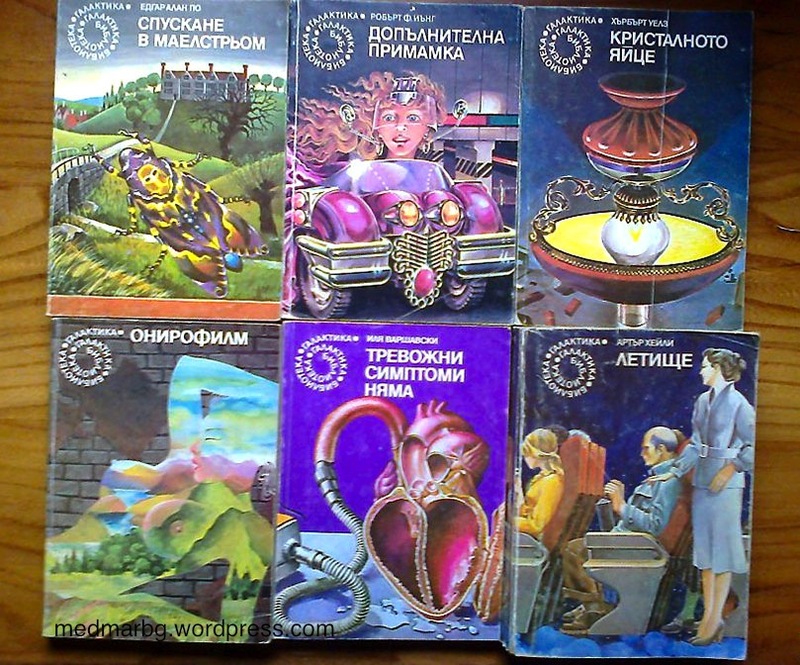 For 19 years, the Galatic Library published over 120 works of science fiction and crime/detective novels by Bulgarian and foreign authors including Arthur C. Clarke’s Rendevous with Rama, Arthur Hailey’s Airport, Ursula Le Guin’s The Left Hand of Darkness and Raymond Chandler’s Farewell, My Lovely—thus managing to survive for nearly a decade after the state system that birthed it had itself ceased to survive. The publisher People’s Youth is the former publishing arm of the Central Committee Dimitrov Communist Youth Union (known more commonly as the Komsomol, an acronym formed from the Russian organization it mirrored). Clearly our landlady enjoyed People’s Youth author Angelina Dicheva (or perhaps she was a personal friend) as the author wrote notes and signed three books, Surfing in the Ocean of Workdays, Dreams in Jeans and Safaris and—for publishing house Profizdat—With Palms I Cover the Fire. Bulgaria has no surfing, no safaris or, at the time these books were published, jeans available only from abroad or through special hard currency stores inaccessible to all save western diplomats, visitors and the elite nomenklatura. What became of Angelina Dicheva after Bulgaria’s political and social changes? If she’s active, she’s managed to keep those activities off-line; not even the Bulgarian version of Wikipedia has a contemporary mention of her or her books. 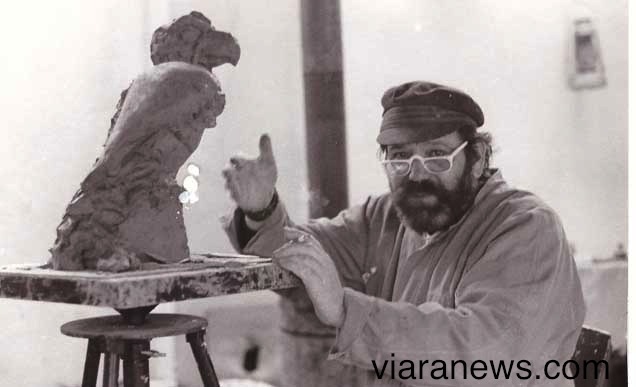 People’s Youth also published artist, author (11 novels and short story collections) and professor Evgeni Kuzmanov’s Seagulls Far from Shore; during a 1999 state visit, Bill Clinton was presented with one of Kuzmanov’s sculptures as a gift from the Bulgarian people. Publishing house Science and Art released Yaroslav Radev’s Thoughts in 1980, Radev being an academician and “the right hand” of Communist dictator Todor Zhivkov, who led Bulgaria for 35 years. Thoughts contains 1127 epigrams by Radev. Epigram number one presents itself as a rather cryptic axiom:“Nature contains in itself everything and is a measure of nothing.” The last, epigram number 1127, is “The community must repent that it doesn’t exterminate in turn the evil-doers.” I prefer Oscar Wilde’s “Always forgive your enemies; nothing annoys them so much.” Radev died at age 89, ten years after the Berlin Wall and the Communist dictatorship in Bulgaria fell. His body, already cold, was found in the entrance of his apartment, dark due to the electricity being cut off, while his 80-year old wife explained to the inquiring neighbor that Radev was simply resting. From the time of the 1877-1878 Russian-Turkish war in which the Russian victory gave Bulgaria autonomy after 500 years of Ottoman rule to the end of World War II when the USSR firmly esconsed Bulgaria in its orbit, Bulgaria was heavily influenced by its “Slavic brother” on the other side of the Black Sea. Their shared Cyrillic alphabet and the communist Bulgarian education system’s requirement that all students learn Russian allowed Soviet/Russian culture an outsized presence and importance in Bulgaria. So our landlady’s books include the likely not intentionally ironically named Little Soviet Encyclopedia (1959), all nine volumes of which are over 1200 pages. English textbooks published in Russian, a 1975 hagiographic biography of Nikolai Ivanovich Kuznetzov (per the book cover “the glorious Soviet chekist,” the Cheka being the predecessor of the infamous state security apparatus, the KGB) published by the State Military publishing house under its Invisible Front Series imprint. 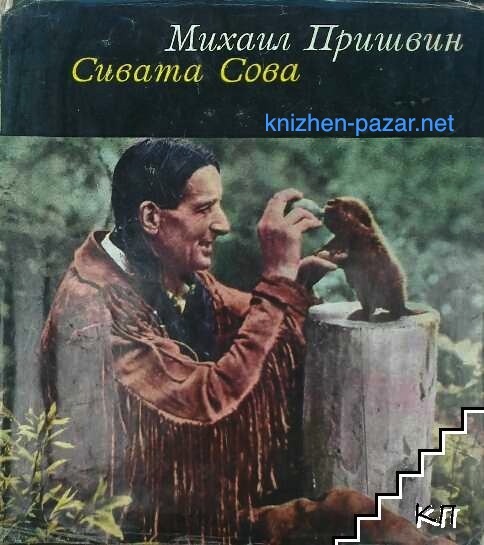 Russian poet and novelist Mikhail Prishvin (1873-1954) had a particular interest in nature and his 1949 The Gray Owl follows Native American man Gray Owl and his relationship with the animals around him, particularly beavers. An unspecified “state publisher” printed the Bulgarian translation in 1966 under the Neptune Library imprint. Neptune might have been a useful rubric for environmentally-themed books, because the same “state publisher” and “Neptune Library” published the 1971 Bulgarian translation of Slovakian ichthyologists Eugen Balon and Ján Seneš’ Expedition Key Largo: Natural History of the Antilles Coral World. Austrian diving pioneer and zoologist Hans Hass’s 1957 We Come from the Sea was also brought out by the Neptune Library. Unfortunately, Neptune Library, like all of Bulgarian publishing of the time, printed on less than optimum paper with less than optimum legibility and its photo reproduction was extremely poor—truly egregious when one is illustrating the beauty and power of the natural world. The same horrendous photographic quality was evidenced in publishing house Zemizdat, when it published a 1976 translation of Silesian-German zoologist and author Bernhard Grzimek’s Among Animals of Africa. Professor Grzimek fared better with publisher Science and Art’s 1967 translation of his 1964 book Serengeti Shall Not Die; possibly that’s why Science and Art is still publishing. Named in 1964 “Hero of Socialist Labor,” General Lieutenant Ivan Vinarov was a communist from the time of the first world war, a member of the USSR’s Red Army, an intelligence officer in China, commander in the second world war, one of the creators of the Bulgarian People’s Army, holder of various Bulgarian government positions, principal creator of the Kaylaka park and reserve near his birthplace in Pleven, and apparently had the time to author Fighters on the Quiet Front in 1988. 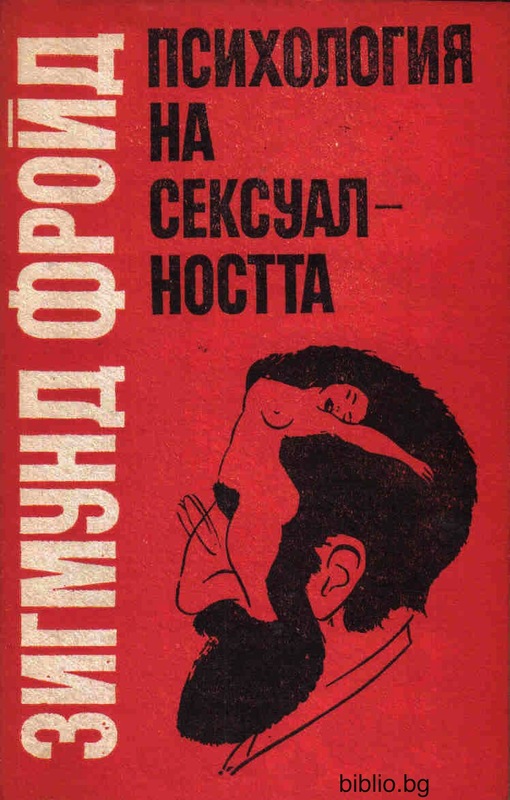 It must have been popular (or perhaps required reading) as the copy on the shelf is from the third printing by Partizdat, publisher of party literature in Bulgaria under the communist government. In 1985, the publisher People’s Culture put out Norwegian author and Nobel Prize Laureate Sigrid Undset’s 1911 Jenny. People’s Culture also published German author and Nobel Prize Laureate Hermann Hesse’s 1919 Demian. Publishing acknowledged classics that pre-dated the 1949 Communist takeover was a safe move, less likely to be found to be politically incorrect at a later time. Despite this, publisher Christo G. Danov dared (but didn’t exactly put its neck out) released more contemporary works, like Spanish author Juan Goytisolo’s The Island, first published by Havana’s Revolutionary Edition. 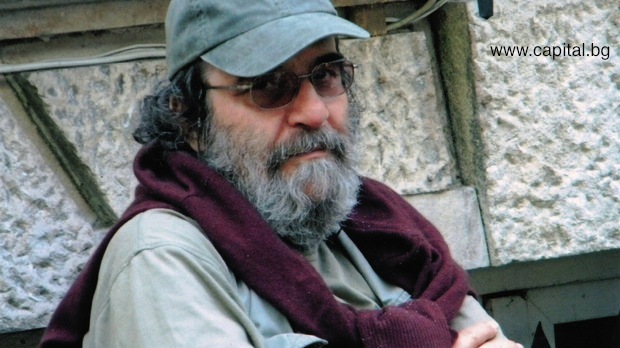 Goytisolo likely appealed to both his Cuban and Bulgarian publishers as an outspoken bourgeois-born convert to Communism who had visited Cuba, initially supported Fidel Castro’s revolution, and continues to critique post-Franco Spain in his work. Surprisingly the same publisher did seem to put its neck out by publishing in 1967 Scottish physican and author A.J. Cronin’s memoir Adventures in Two Worlds—though Dr. Cronin’s lineage, upbringing, career, and life choices were as bourgeois as could be. 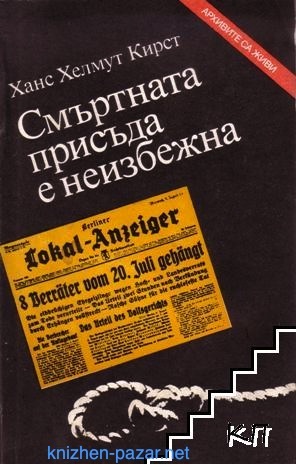 Bulgarian Agricultural National Union waited until 1990 and the fall of the Communist government to publish French author Henri Troyat’s Snow in Mourning. Troyat was born Lev Aslanovich Tarasov in Moscow of wealthy parents who relocated to France after the 1917 Russian Revolution. 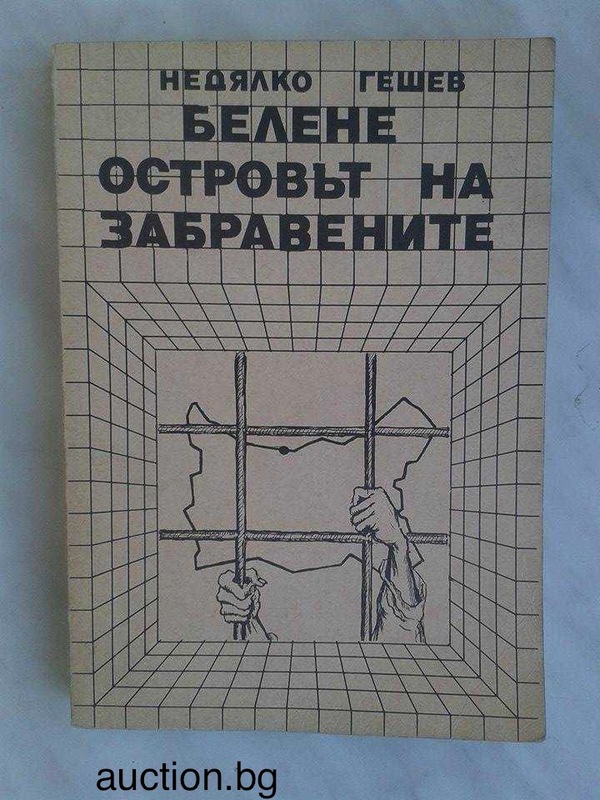 Thus the publisher’s notes at the back include the heading “New Themed Series: Banned Books” and list the now possible-to-be-released The Facism by Zhelyu Zhelev, former dissident and first democratically elected President of Bulgaria. The Facism had originally been published in 1982, but the controversial work comparing socialism to fascism was banned and removed from bookstores and libraries only three weeks later. Also listed is Nedialko Geshev’s Belene: Island of the Forgotten about one of the most infamous forced labor and concentration camps in Bulgaria’s homegrown gulag and Yosif Petrov’s Cry from the Penal Colony about the improbable creation of poetry in Belene. Detective and mystery fiction seem to have been safe from political analysis and judgment. Publisher Fatherland collected stories by luminaries such as Edgar Allen Poe, Arthur Conan Doyle, G.K. Chesterton, Agatha Christie, and George Simenon and published it as Tangled Trail. Publisher Christo G. Danov had its pulse on Soviet detective fiction, putting out Russian author Arkady Adamov’s Loop, second in a trilogy centered on Inspector Losev. History is always fraught with problems in a Communist society. The power of propaganda in controlling and convincing the population was crucial to sustaining the system, and that meant utter control over history, Communist and pre-Communist. So Partizdat published German author Hans Hellmut Kirst’s Aufstand der Soldaten about the July 1944 attempt to assassinate Adolf Hitler—a safe, anti-fascist choice. Georgi Bakalov published Italian Renaissance scholar and traveler Antonio Pigafetta’s First Voyage Around the World—a safe, staid choice originally published in the late 18th century. Fatherland Front was perhaps offering a warning about criminality when it published French-American Rene Belbenoit’s Dry Guillotine, an account of his imprisonment and escape from the French Guiana penal colony—don’t let this happen to you! Recently I did some research on the Library of Congress website. In addition to the Bulgarian material available at the LOC, I discovered that you can link directly to Bulgaria’s National Library Saints Kiril and Metodi, precisely the library in which my husband tried to find Sigmund Freud. There’s even an electronic catalog listing 55 volumes by Freud. All but three of these date from 1990, but those published in 1927, 1932, and 1947 have presumably had their repairs completed by now.